I had the privilege last week of looking after my gorgeous Goddaughter for the day. I had promised her we would do some baking and after a morning at the aquarium it was back to our house to create something in the kitchen. I thought fairy cakes would be a good option as they are quick and easy to rustle up and can then be decorated in any way you fancy with lots of different colour, flavour and decoration options. 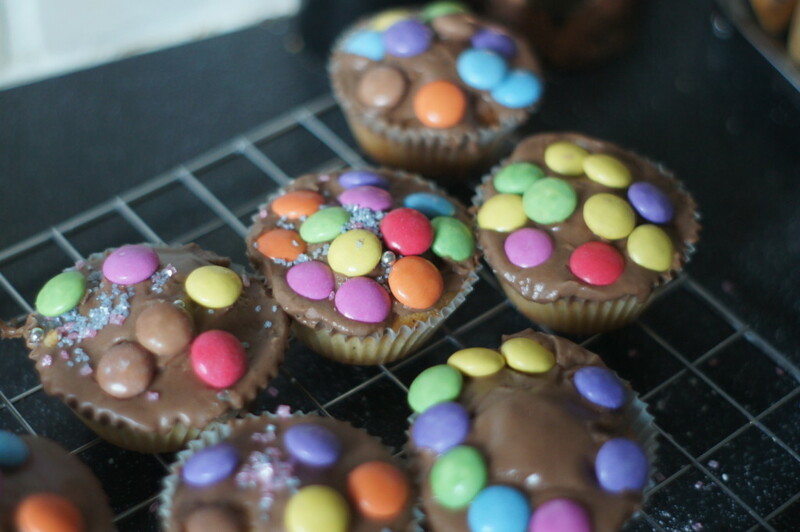 We opted for some pink and chocolate icing and Smarties as decoration. We had good fun and she was very proud of her cakes! 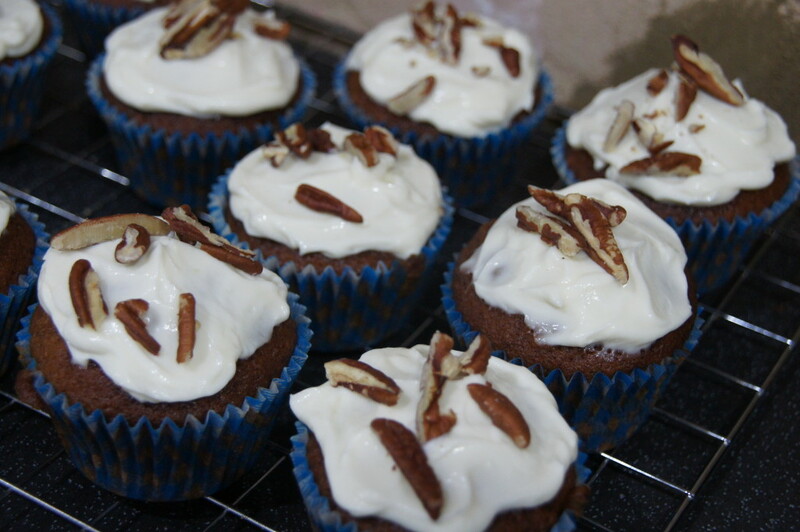 It’ has been ages since I made cupcakes. I have mentioned before that Mr Birdie likes to joke that cupcakes are all I make – well hopefully this blog has proved him wrong! 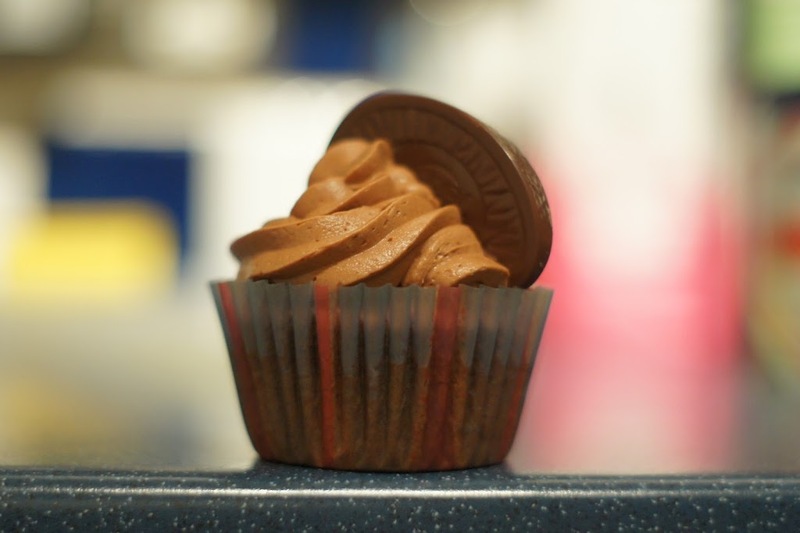 I made these once before and Mr Birdie declared them ‘the best cupcakes I’d ever made’! I decided to make these as I had a couple of Bramley apples that needed using up. 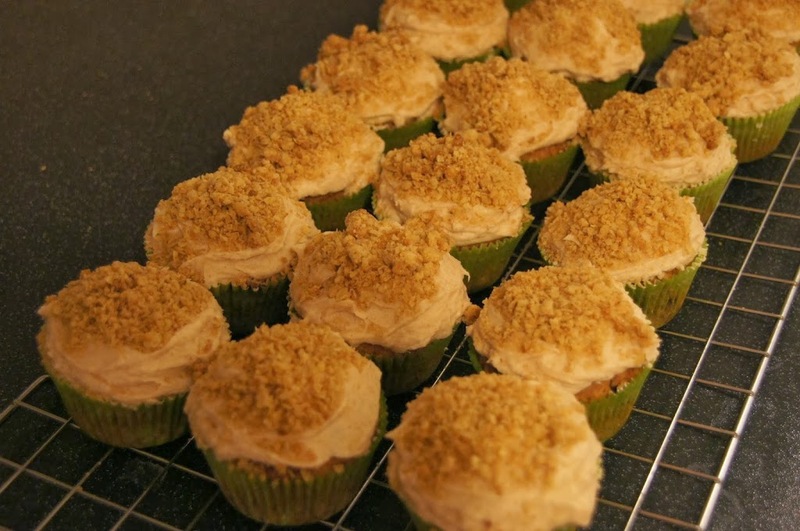 These cupcakes are a combination of recipes – the cupcake recipe is from Eric Lanlard’s Cox, Cookies & Cake book and the cream cheese frosting and crumble topping come from the Cup O’ Sugar blog. If I had had lots of time I would have filled them with custard as my Dad gave me a cupcake filler gadget for Christmas that I am still waiting to try out but sadly time flew by today. I made 18 cupcakes from the mixture but this will probably depend on how much apple mixture you make. These were made in a rush on a Tuesday night so I haven’t got step-by-step photos but I will post the recipe should anyone be interested in making them. I openly admit that I find cupcakes tricky. I never seem to be able to get them light and fluffy enough – one day I’m sure I’ll succeed! If anyone has any tips I’d be very grateful! I used a Primrose Bakery recipe from the Cupcakes From the Primrose Bakery book.